SHAWNEE COUNTY — Law enforcement authorities are investigating 3 suspects on various charges after a raid by the Drug Enforcement Administration. 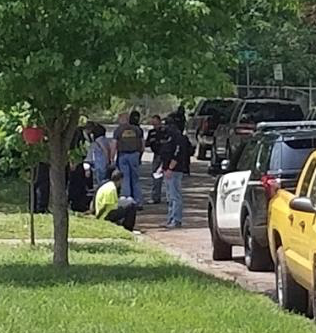 On Tuesday morning as part of a drug investigation, authorities served a search warrant at a home in the 1700 Block of SE Quincy in Topeka, according to Lieutenant Andrew Beightel. Police arrested a woman for possession of meth and drug paraphernalia. They arrested one man for possession of a stolen firearm and another man for outstanding warrants, according to Beightel.